One way to protect from identity theft is by shredding old documents. 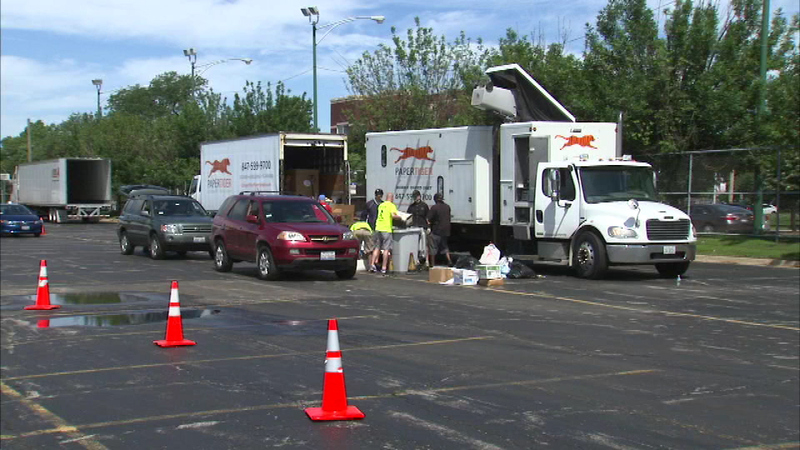 CHICAGO (WLS) -- One way to protect from identity theft is by shredding old documents. Huge shredder trucks were parked at the United Center on the West Side destroying boxes of paperwork for anyone who dropped by. Electronic recycling was also offered. The event was sponsored by several organizations including the Better Business Bureau and the Cook County State's Attorney's office.